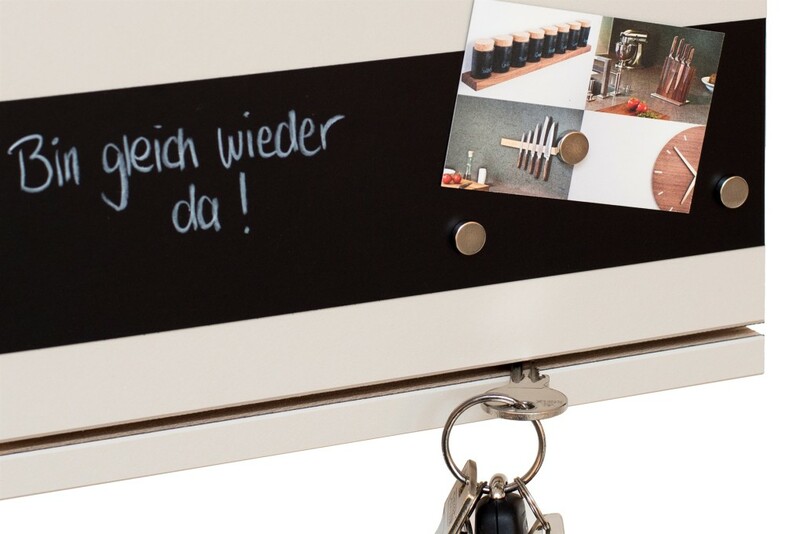 Frustrated by the hodgepodge of keys? 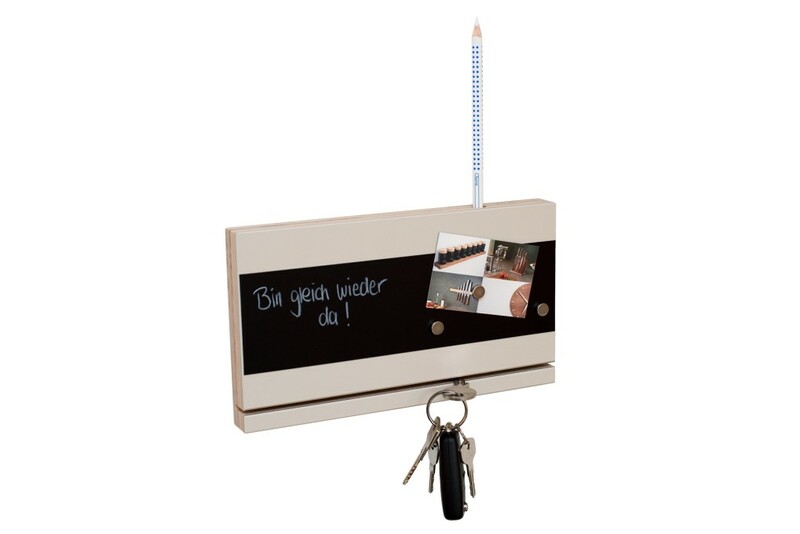 Keep your keys close at hand with our white key rack! 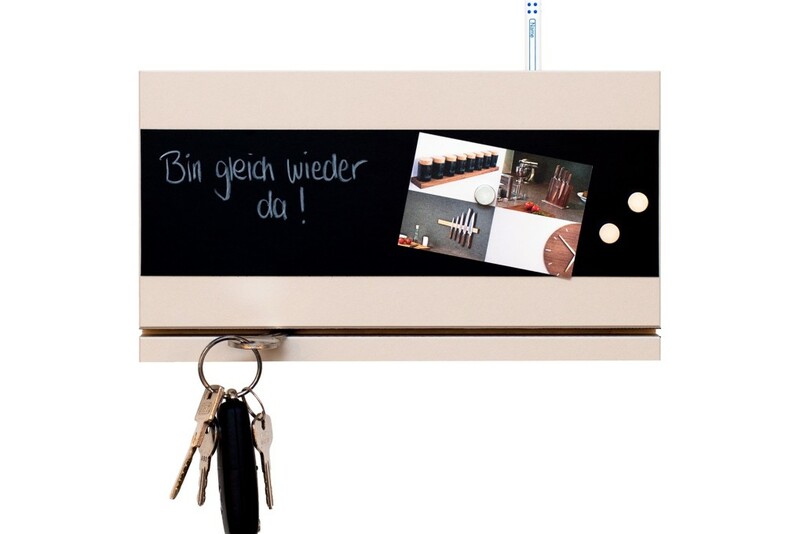 Our white key rack will put your keys in order and give you a chance to leave messages on the chalkboard contact paper. 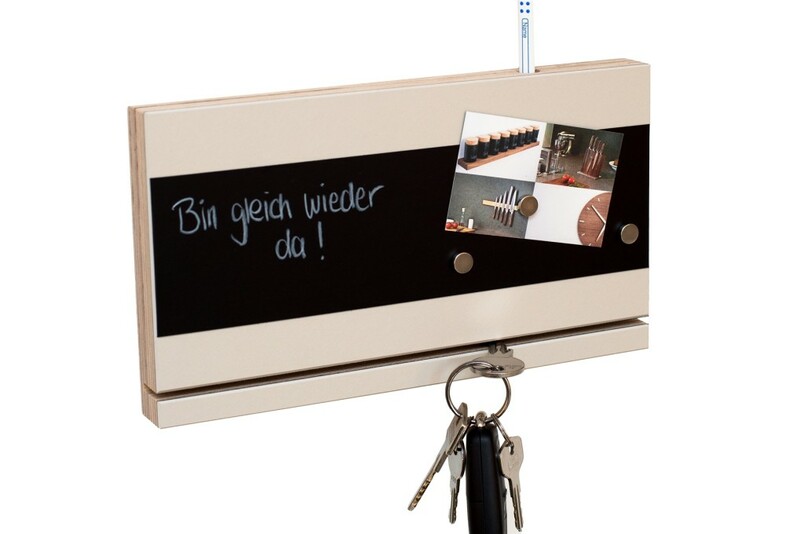 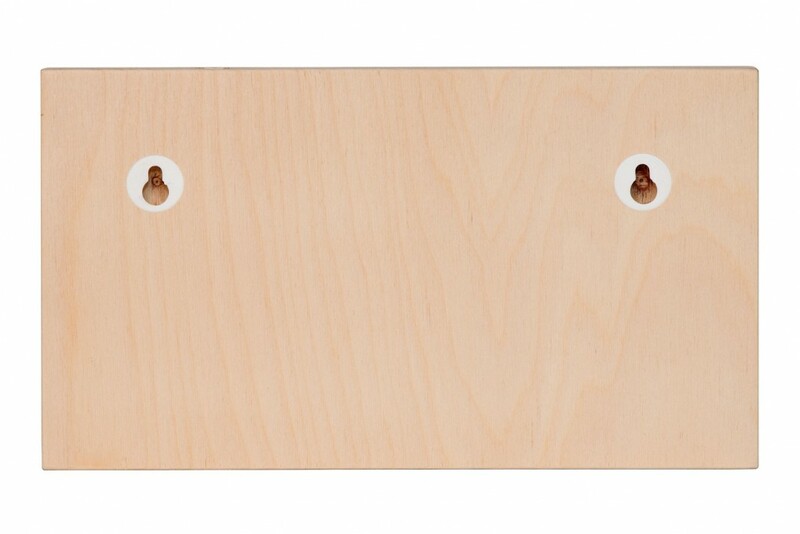 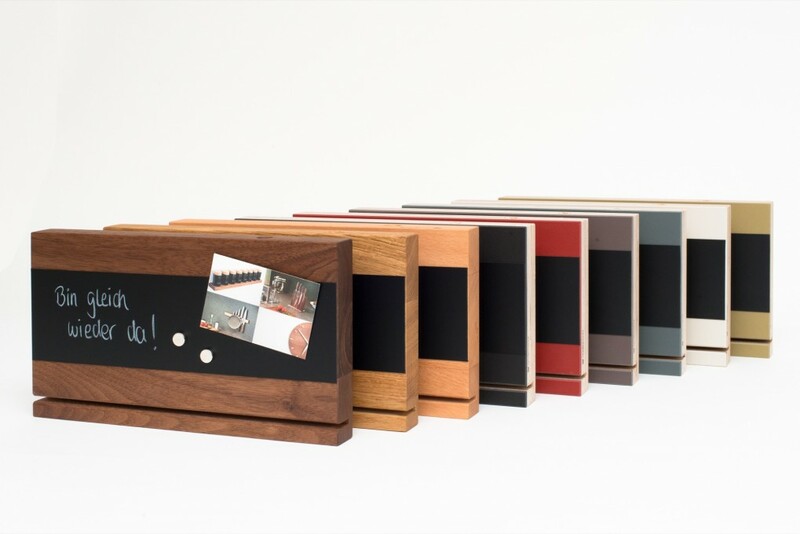 Our key rack (mulitplex and mushroom- coloured linoleum surface) holds your keys in place in a slot and you can easily scribble notes or hang cards on the magnetic strip. 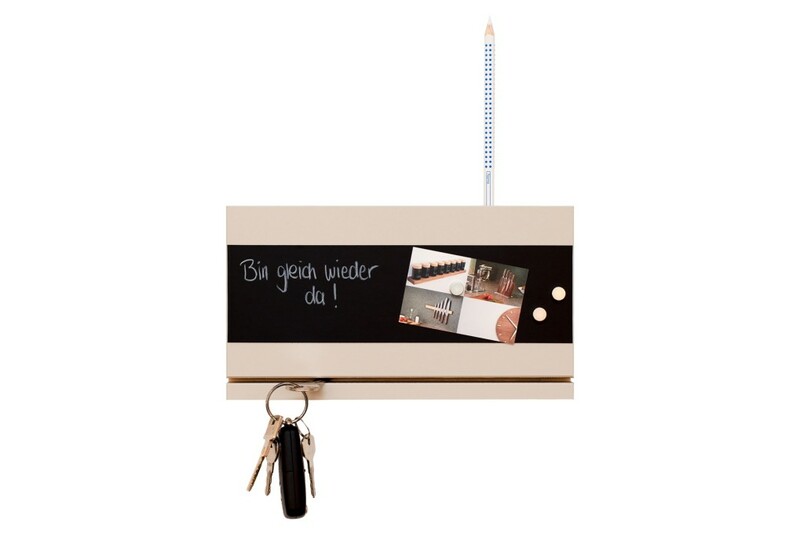 The key rack comes with a slot at the top to store a special pencil.